TAG Heuer has a bit of a bad reputation amongst watch collectors. While they produce some classics (the Aquaracer series, Monaco and the Carrera chronograph) they also produce some horrible fashion watches (pretty much everything else). A lot of the hate is derived from their use of cheap quartz movements in watches price upwards of £1000. It is true that new TAGs are on the expensive side for what they are, but the used market is full of bargains. The TAG Heuer WAB1120 is the two-tone version of the 1990s quartz Aquaracer, and I bought this one for less than £500 about two years ago in very “well-loved” condition. A real head-turner – it Looks far more expensive than it actually is! Overall, I love this watch. I have its big brother, the automatic Aquaracer 500m and though that gets most of the wrist time, this one looks great with a shirt and tie. I plan on keeping this one in my collection for many more years to come. 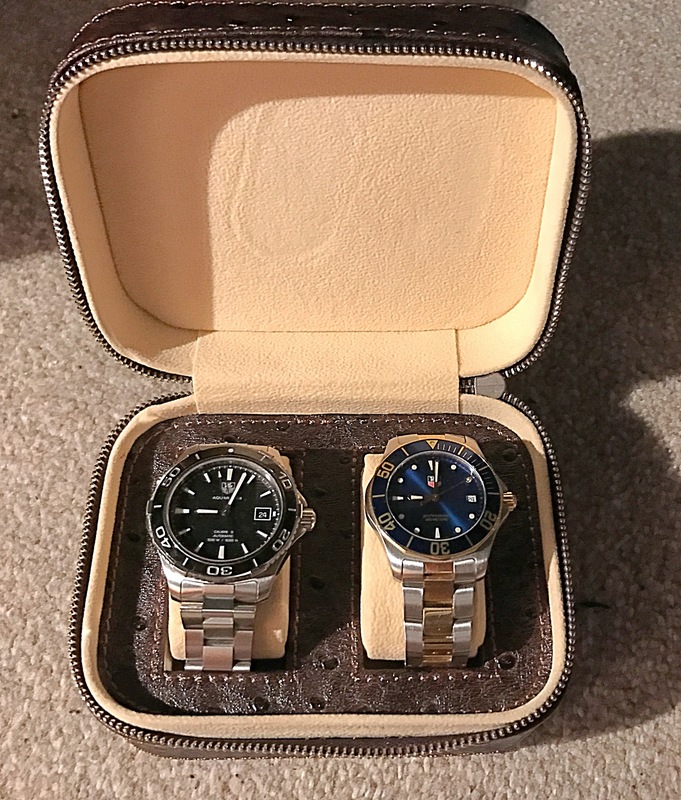 For second-hand TAG Heuer watches, eBay is the place to go – make sure to get the papers so you don’t buy a fake TAG Heuer watch. The box is less important. Quartz movements are reliable and relatively inexpensive to replace so service history is not so important. Extra bracelet links can be expensive so make sure the bracelet is long enough for your wrist.